Create cohorts for critiques and adjust them at any time. 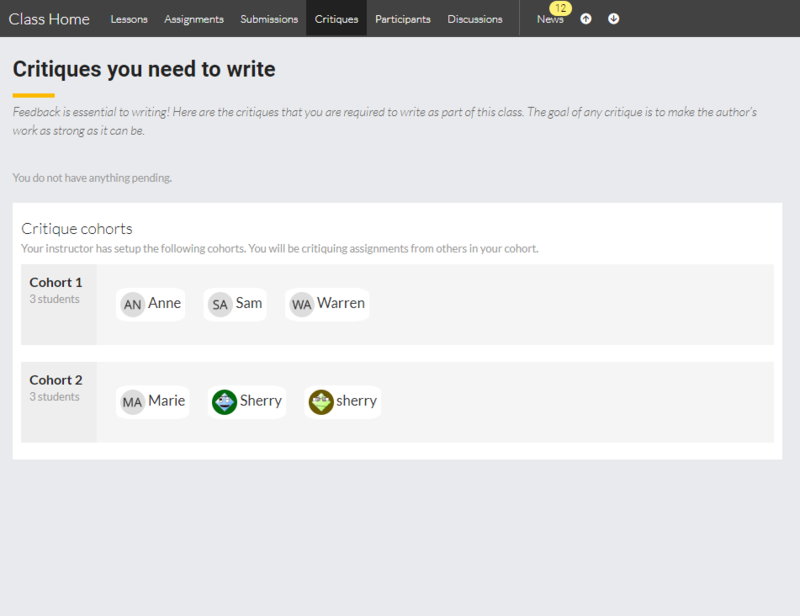 While all other critique assignments are automatic, when choosing "Cohorts," you'll need to manually create the cohorts. This is a simple, drag-and-drop process. Cohorts can be adjusted at any time. To add a cohort, simply press the 'Add Cohort' button below the "Cohorts" section of the 'Critiques Setting' page. When you do, you'll see a gray box waiting for you to drag-and-drop students onto it. Students who have not yet been added will appear in orange boxes above the cohorts. You can create as many or as few cohorts as you want, and rearrange students as many times as you need. You can choose the size of each cohort.